A thread for minor changes, deletions, etc. I'm going to delete the rhino extinction prediction (2025-2030) until I have some better data/references. If anyone has recent population figures, let me know. Will you highlight the possibility for a civil war in America during the 2020 or 2030's. I've updated the 2018 and 2019 pages. 5G is currently listed for 2020, but the first phase is actually launched this year, so I guess I'll move it. (TechCrunch) 2018 was a year of massive mergers and acquisitions, with AT&T/Time Warner, Disney/Fox and Comcast/Sky. The #MeToo movement made headlines, and the dominant emotion in boardroom discussions around Hollywood and beyond was fear … lots of fear in the ranks of our tech-infused world of media and entertainment (as well as in the world itself). Here are some of the narratives that will shape the world of entertainment next year and set the stage for the roaring 20s of the media industry (see linked article). European Extremely Large Telescope moved from 2022 to 2025. However, this general upward trend has begun to plateau in recent decades. Climate change is now having a significant impact on regional stability, particularly in Africa and the Middle East, where concerns over scarcity of resources have created conditions allowing dictators and authoritarian governments to make a comeback. In any case, a number of cultures are simply more compatible with monarchies, theocracies and autocracies at the present time. These parochial nations will remain undemocratic for some time to come. 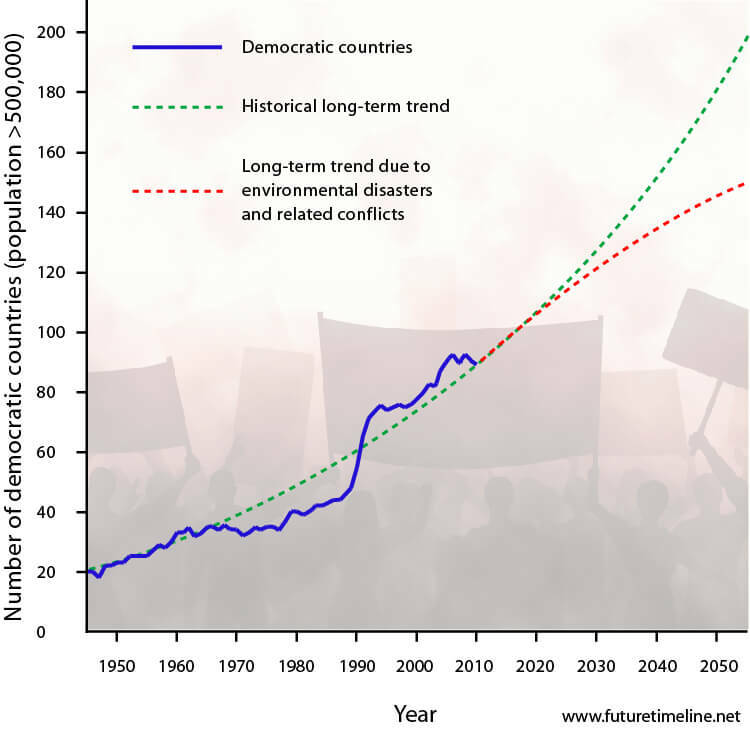 Things do seem to have taken a more authoritarian direction lately – but the overall, long-term, historic trend seems to be upwards, towards more democracy, driven in large part by the free flow of information. Edit: In any case, the graph does include that red line, to take into account a possible slowdown. 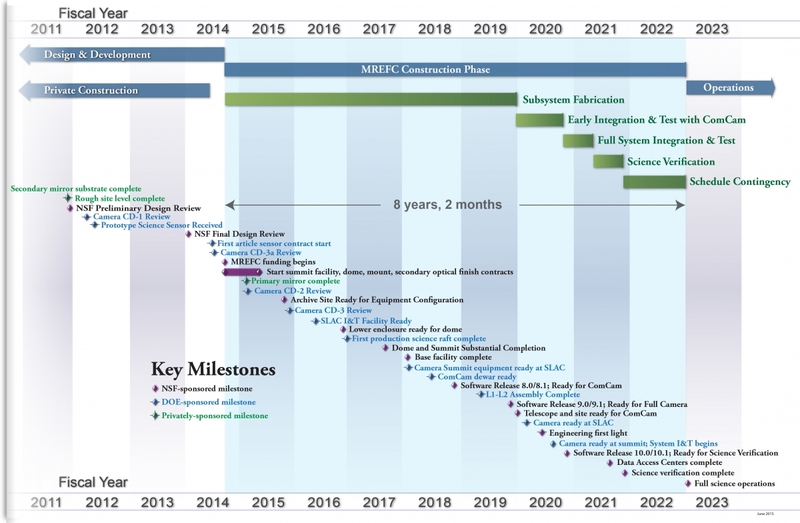 I've now moved the Large Synoptic Survey Telescope from 2022 to 2023, based on the latest schedule. ^ This was going to be my next prediction.